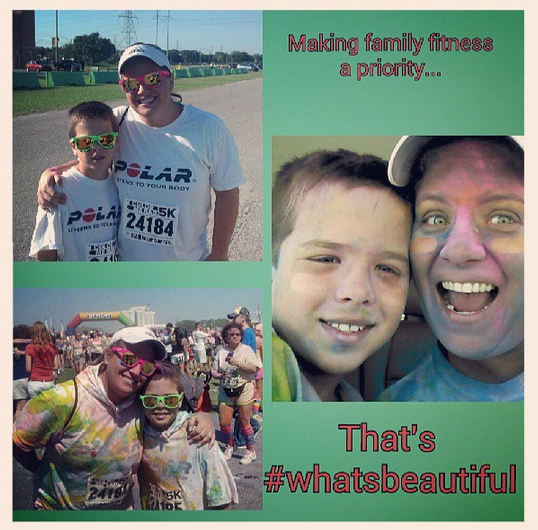 Mindy's fitness Journey: #Whatsbeautiful is living a life with fitness in my family! 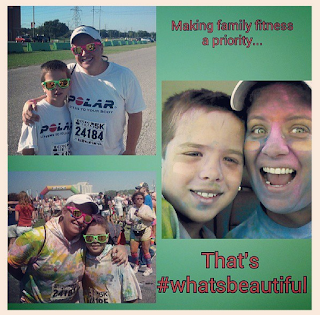 #Whatsbeautiful is living a life with fitness in my family! I am working with Fitfluential and Under Armour on the What's Beautiful Challenge and I decided to come up with 10 things that I want to improve on in the next month. I will print this out and put it up on my fridge door. I will revisit in June before I leave for FitBloggin'. 1. Keeping my son involved in organized runs and racing. 3. 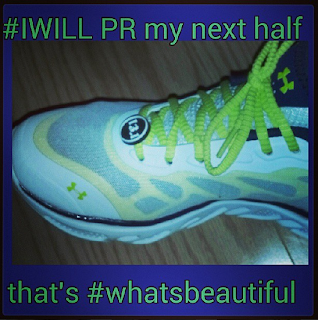 PR-ing my half marathon in November. I need to stay true to my workouts. 4. Helping others realize that they don't have to be perfect with fitness to be better. 5. Making my son proud of me! 6. Making time to cook healthy meals. 7. Losing 10 pounds before FitBloggin' in the end of June. 8. Blogging 4 times a week. 9. Getting brave enough to take pictures of me doing CrossFit. 10. Getting my FitBloggin' presentation ready to go! 11. Forgot one.... #runstreak... I want to run a mile a day til Labor Day. 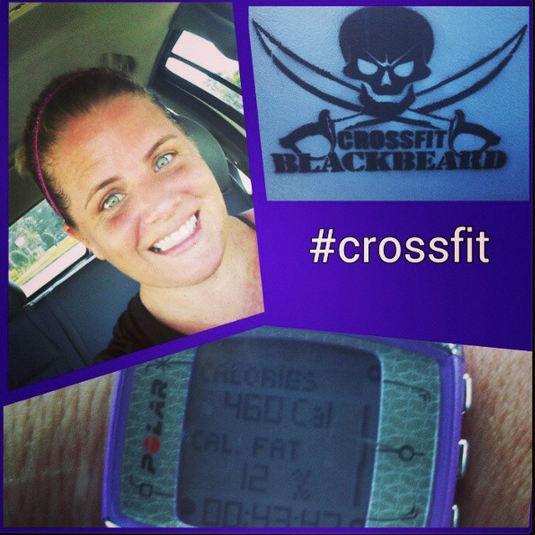 As you all know, I have recently begun my CrossFit journey at CrossFit Blackbeard in St. Petersburg. They are offering a REALLY great deal right now.... Tell them you are friends with me, Mindy, and you will get an unlimited membership for $50!!! WOW! Time for the "Get Your Friends Addicted" to CrossFit Blackbeard program! For $50 your friends can receive Fundamentals and one month of unlimited classes! Purchases must be made by the end of May; however, the start date can be arranged by contacting Trey (trey@crossfitblackbeard.com). Thanks girl! You are #whatsbeautiful too! Can't wait for your kick a$$ PR! 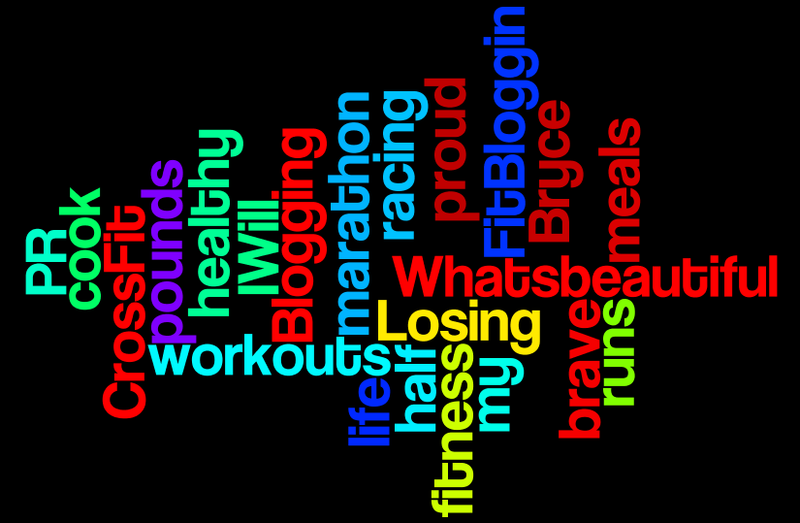 And fitbloggin!! Thank you Kat! 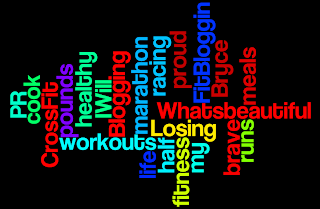 Can't wait til FitBloggin' too! Great goals. Love the way you are printing them all out as a reminder! I have to print them or I will write them and forget them! :) Don't want that do we! Thanks for the wordle reminder. Rock it Mindy!!! Love it!!! Thank you! I love it as well! Your support means so much! great list mindy! love it! You have great goals, Mindy! You'll do it!! Thank you Erik! Means a whole lot! It is seriously lifechanging and I think it may be the missing link in your health and fitness lifestyle that pushes you over that plateau and onto bigger (or smaller! ;)) and better things!! Keep up the amazing work, Mindy!! It's a journey for sure! Thank you Jennifer. Glad to have reeled you back in... I drank the Kool aid for sure! I LOVE it!